A Lightweight Insulated Jacket with many applications. When you are battling the most extreme cold temperatures, be sure to add the POLAR KING Diamond Quilted Jacket to your arsenal. The inner and outer taffeta lining allows for easy layering and the quilted insulation provides additional warmth. If you prefer, you can wear this as a standalone jacket. Functionality convenience and warmth are KEY. Use as an extra layer of warmth inside Freezerwear or outdoor garments. A lightweight but warm jacket for Autumn, Spring or cool Summer nights. Or, wear it inside a commercial or farm building during the Winter for the extra bit of warmth. 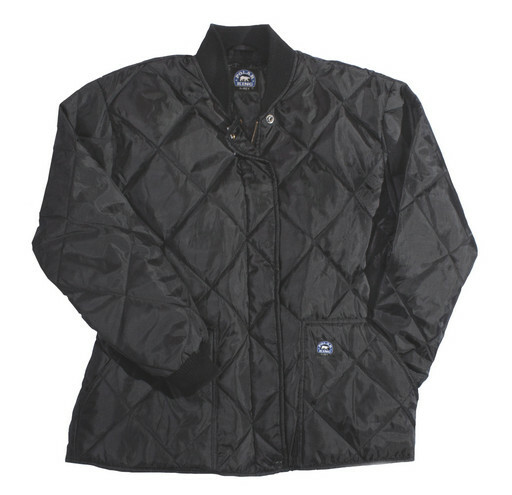 Whatever the use, this quilted jacket is truly a handy garment to help keep you comfy and warm!